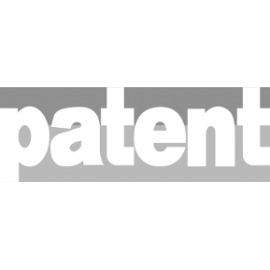 Patent replacement lamp for Thermawave OEM Part Number 18-020285 for Thermawave Opti-Probe..
Patent replacement lamp for Thermawave OEM Part Number 29-013586 for Thermawave Opti-Probe..
Patent replacement lamp for Hamamatsu L6380 L2D2 Deuterium Lamp Part No: 062-65055-05OEM: ..
Patent replacement lamp for 062-65055-95 Deuterium Replacement Lamp for Spectrophotometer ..
Patent replacement lamp for WATERS P/N 081142 deuterium lampOEM: 81142..
Patent replacement lamp for Agilent Deuterium UV lamp [Cary 4000 to 7000] P/N110713990OEM:..
Patent replacement lamp for 18-016057 Lamp White Light for Tool Thermawave 3290 (OEM: KLA)..
Patent replacement lamp for PAT/18-016057 Lamp for application KLA Thermawave OP2XX OP3XX,..
Patent replacement lamp for 18-016057 Lamp White Light for Therma-Wave Opti-probe systemOE..
Patent replacement lamp for Hamamatsu L7537-71 Lamp P/N: Therma Wave OP 5XXX 7XXX, 18-0202..
Patent replacement lamp for Thermawave 18-020285OEM: Thermawave 18-020285..
Patent replacement lamp for P34/18-020285/29-014965/29-010501/29-013586 Replacement for KL..
Patent replacement lamp for Hamamatsu Hollow Cathode Lamp - Part No. : 200-38422-08OEM: Ham..
Patent replacement lamp for Hamamatsu Hollow Cathode Lamp - Part No. : 200-38422-09OEM: Ham..
Patent replacement lamp for Hamamatsu Hollow Cathode Lamp - Part No. : 200-38422-10OEM: Ham..
Patent replacement lamp for Hamamatsu Hollow Cathode Lamp - Part No. : 200-38422-13OEM: Ham..
Patent replacement lamp for Agilent Technologies 2140-0590 Deuterium LampOEM: Agilent Tech..
Patent replacement lamp for Hollow Cathode 217nm LampOEM: Hollow Cathode 217nm Lamp..
Patent replacement lamp for KLA Tencor 29-010501 Deuterium D2 LampOEM: KLA Tencor 29-01050..
Patent replacement lamp for Patent 29-013586 Replacement Deuterium Lamp D2OEM: Patent 29-0..
Patent replacement lamp for 29-013586 DEUTERIUM LAMP FOR Teltec Schichtd.OptiprobOEM: 29-0..
Patent replacement lamp for Thermawave 29-013586OEM: 29-013586..